A brief message can inspire a stranger. It happened in the case of Raleigh Callaway, 49, of Greensboro, Georgia. His kidneys were on the verge of failure, in stage five, when this photographed message rescued him from the clutches of certain death. He needed a transplant on very urgent basis. Callaway, had his family including his kids and wife, photo shoot and uploaded on the net on his page of Facebook with a small note. 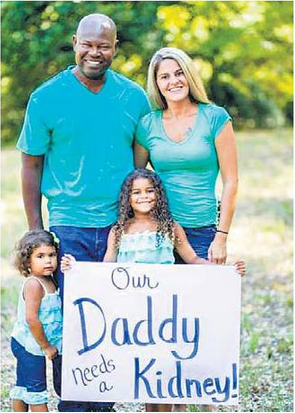 ” Our Daddy needs a Kidney.” The photo went viral and offers came in flooding.Their daughter were the real motivators. The response was overwhelming. 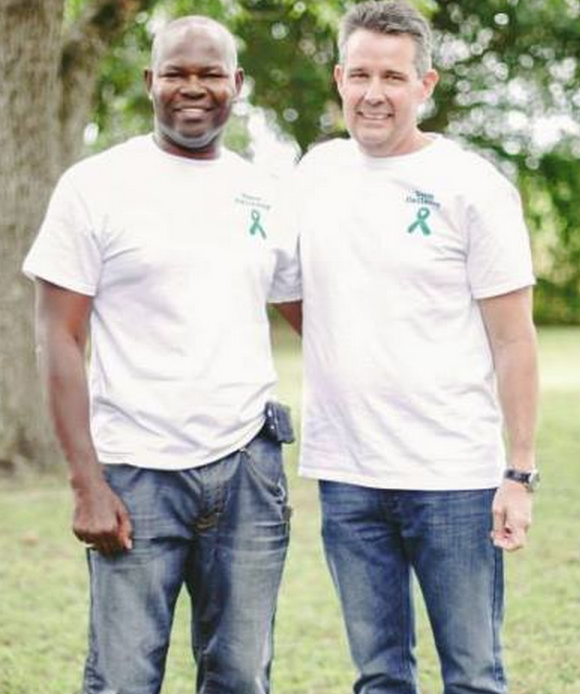 Thousands of people came forward, and a donor Chris Caroll a health care consultant with Mckinney, Texas was invited as the kidneys matched. The photo shoot by his wife Kristi Callaway and photographer Brandy Angel was the basis of recovery. Callaway, a police officer, tried this as one of the last resorts. Their transplant operation was successful by end of August, both men were released from the hospital. The incident shows that by nature the Man is loving and kind. All that is required the reason to get convinced and work for a cause. That Love is the most powerful force to unite this world. Both Krist Callaway and Brandy Angels have been inspired and have started working together to form an organization called CALLAWAY’S ANGLES to find and match such donors and receivers and would like the people to gain from this wonderful experience. If you would like to know more about the organization click here.